Now that you've got your kiddo-friendly summer getaway, perhaps it's time to focus on your hot weather beauty kit? While nothing beats that all-natural pregnancy glow, post-baby skin is a whole other story. We can thank hormones for doing a real number on our epidermis, with issues like hyper-pigmentation and severe acne joining the many other joys of motherhood. For some of us, our skin never quite bounces back to our pre-mama days (and that's totally okay!) — and adding dry, hot, or humid summer weather certainly doesn't help. I am all about rose water spray in the summer. My favorite is the Nourishing Rosewater Mist by Beautycounter — I used it as a toner, to set my makeup, to freshen up after a workout, and as an overall mood-lifter. The natural scent is heavenly and it's super refreshing! I love Glossier products because they are practical and light and I prefer a more natural look during the summer time months when things warm up. My faves are their lip tint, liquid blush, and Haloscope highlighter. Less products, more pretty. I've been using Weleda Skin Food for my dry skin. It's super thick and rich and by morning it's all [absorbed into] my face. I also like using coconut oil, but only at night because it's super shiny. 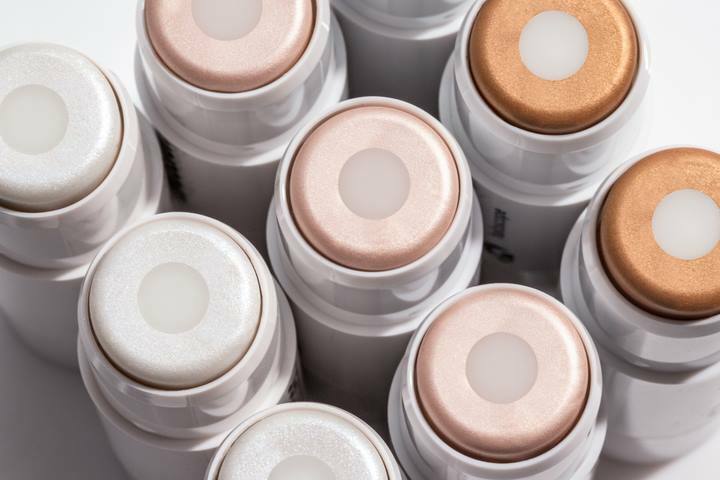 I'm a huge fan of It Cosmetics, and the cruelty-free brand's full-coverage foundation is exactly what my summer skin needs — especially now that I'm expecting baby #2! In addition to protecting my skin with SPF 50 sunscreen (which is all-natural, physical, and chemical-free), it's got a unique anti-aging serum that reduces the appearance of lines and wrinkles, plus hyaluronic acid that'll keep my face hydrated beyond summer. I've been wearing it for a several months and have already noticed lighter sunspots and more hydrated skin. I have been loving Grown Alchemist's Hydra Mist for hot dry days; it's easy to mist on over make up. My go-tos at night are either Rodin oil or Vintner's Daughter oils: both manage to be super hydrating and balance dry patches and oliy spots, and both work under makeup too for that glossy dewy look. Loving EltaMD's UV Clear Broad-Spectrum SPF 46 sunscreen [which] keeps my skin protected without the oily look. 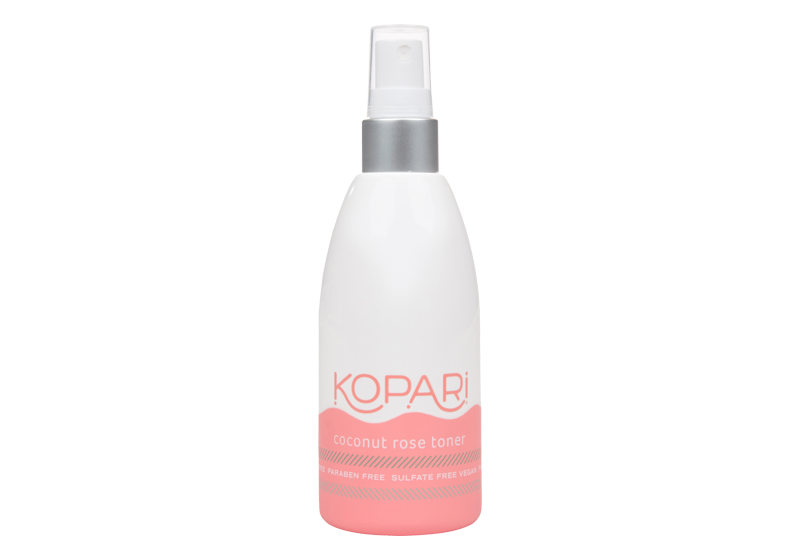 I LOVE Kopari's Coconut Rose Toner. I spray it on to wake my face up-it makes you glow and smells delicious! 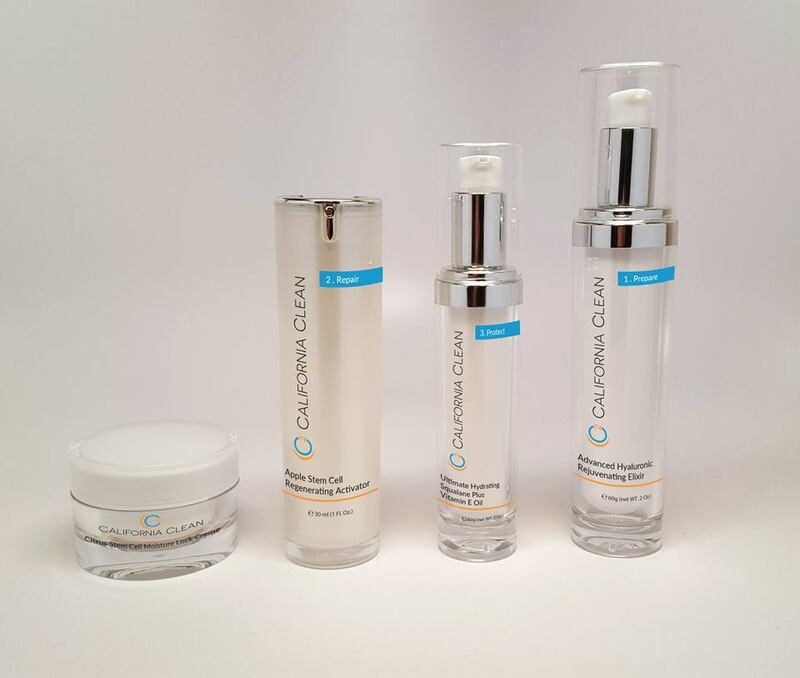 I love the C2 California Clean skin system because it is a very clean product (EWG) but the oils keep my skin looking hydrated and fresh. Huge fan! [This body oil] keeps my skin hydrated with the most heavenly jasmine scent (reminds me of our trip to Thailand last year!) after all those beach days. 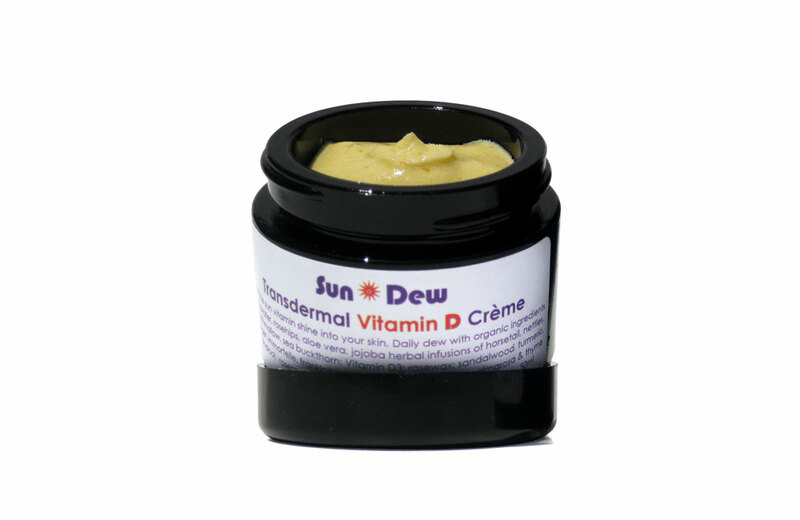 I LOVE Living Libations SunDew — it gives my skin a healthy sun-kissed glow without having to sunbathe. Since having Nonah, I've experienced hormonal melasma and have to protect my face from the sun to avoid worsening my dark spots. It's all-natural and handmade. Obsessed with True Botanicals' Pure Radiance Oil because it is super light but leaves my skin feeling moisturized all day. Also love the Nutrient Mist, I'll spritz it on my face after a long day and my skin looks instantly dewy and revitalized. All their products are made safe certified for pregnant and breastfeeding mamas. It is absolutely fool-proof, gives you a beautiful natural-looking glow, and also smells amazing, which is hard to find in a self-tanning product. Also, Clarins UV Plus Anti-Pollution SPF 50 sunscreen ($45). It is super lightweight, smells gorgeous, and absorbs quickly — perfect on its own, but also isn't at all greasy, so it makes a great base for makeup. 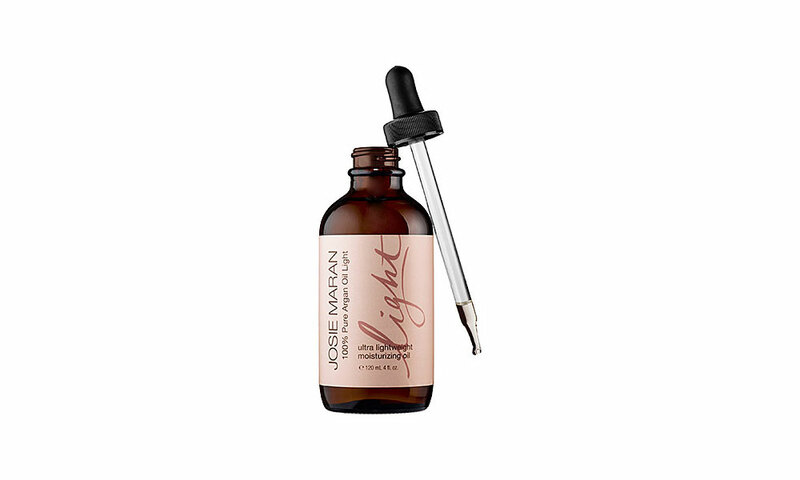 I love Josie Maran's ultra lightweight moisturizing oil made with pure 100% Argan oil. It's vegan-friendly, great for sensitive skin and works great in all seasons and all environments. I have super sensitive skin and it works like a gem! I love all Tata Harper products, especially her Regenerating Cleanser and masks [which] gives my skin a smooth soft glow. True Botanicals' serum and hydration mist is the best and has been my go-to for the last two years; [they keep my skin] hydrated and dewy throughout the day, hide my lines, [and both are] all-natural and non-toxic. And my other is coconut oil, [I've been using] it daily for years. 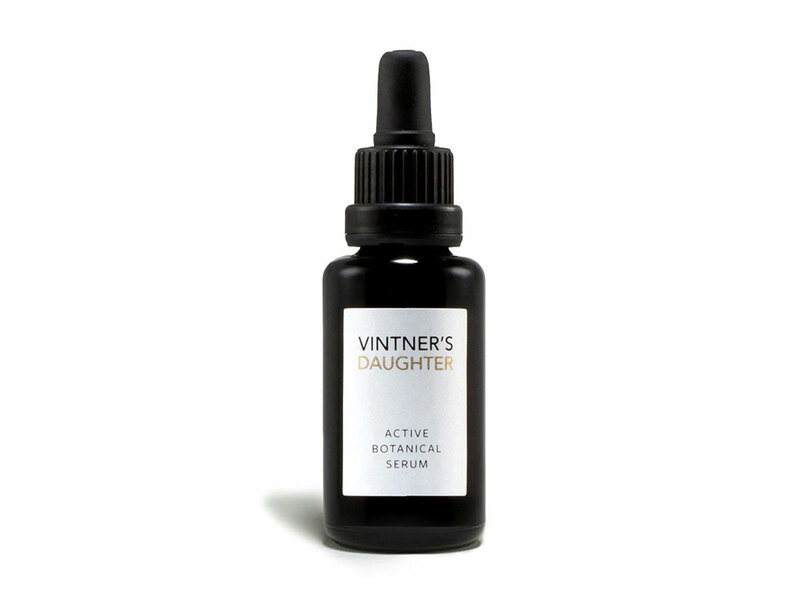 Vintner's Daughter's botanical serum keeps me hydrated and helps combat breakouts and age/sun spots. It's made with all natural botanical ingredients and perfect during pregnancy also. I love that it has helped to simplify my beauty routine — I just cleanse, tone, and use this. 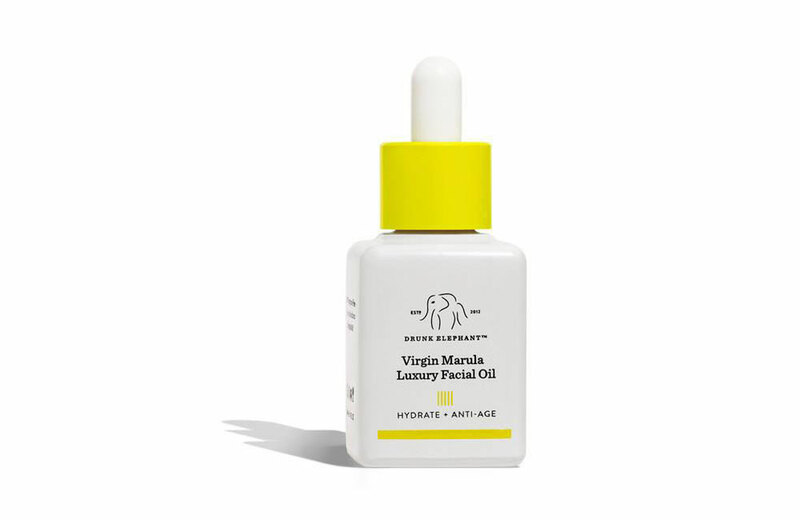 I'm obsessed with Drunk Elephant's marula oil. For dry skin? It hydrates and fights imperfections. It's a summer miracle worker! Everything May Lindstrom! The serum and correcting mask are amazing. 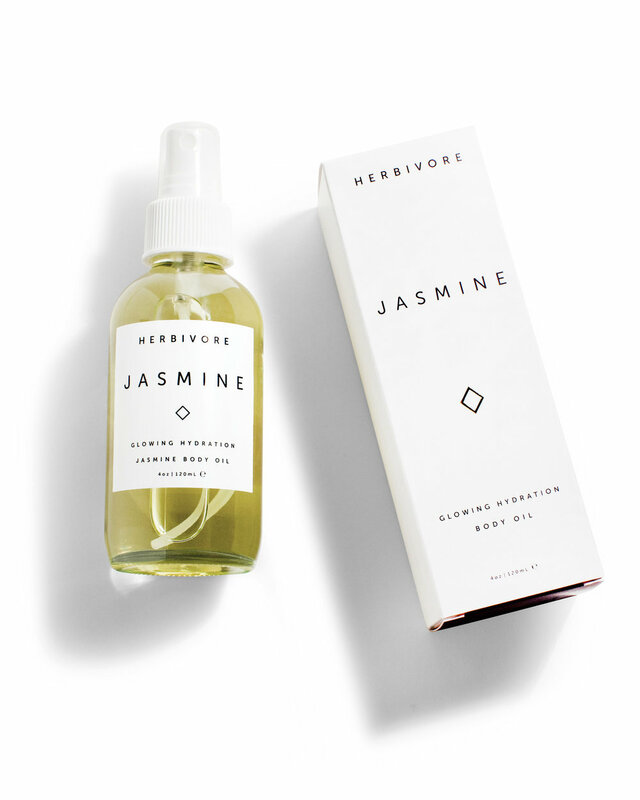 When I was pregnant the second time the Jasmine Garden botanical face mist ($70) was euphoric. A smaller but amazing skin care line, Jennifer Bradley cosmetics! Her products are amazing. Love the Clearly Younger (Goddessy Creme) for everyday [because it] leaves your skin glowing. Her foundation ($58) makes your skin look flawless and doubles as sunscreen. 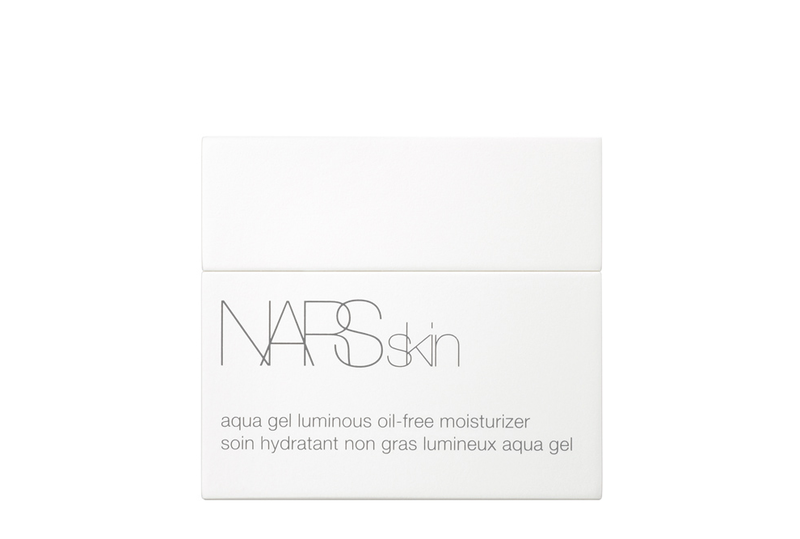 I love Nars Aqua Gel Luminous Oil-Free Moisturizer. It is super lightweight, barely has a scent, and works on my eczema-prone skin. My newborn baby had a face full of baby acne plus dry skin, and after unsuccessfully trying every solution on the internet, I thought why not, I'll try my favorite product. Sure enough, it moisturized her face and it cleared away her acne in a few days! Even my husband uses this lotion and complains when we are out! LA brand launched by a friend and well-known makeup artist, Gloria Noto, Noto Botanics has an amazing line of unisex multi-use organic skincare and makeup. Everything smells divine because it's derived from natural ingredients, so if you are into essential oils this is totally up your alley. I love the Basil Yarrow Mist as a toner/refresher throughout the day as well as the resurface scrub to get newborn baby-like skin. Plus, her makeup lip tints and highlighters are awesome and I don't have to worry about gross chemicals getting all over my son's face when I kiss him. One of the products [contributes] 100% proceeds to Planned Parenthood, so extra points for that. I love May Lindstrom's problem solver mask. I initially starting using it when I got pregnant and was breaking out but continue to use it today (and am acne-free). [It] makes my skin incredibly radiant and smooth. Also, I highly recommend Tata Harper's Resurfacing Mask the day of a big event or night out. Mask followed by your makeup = a glowing complexion! I have been loving the Tatcha water cream! I love how it cools and moisturizes my skin but doesn't leave it feeling greasy after! 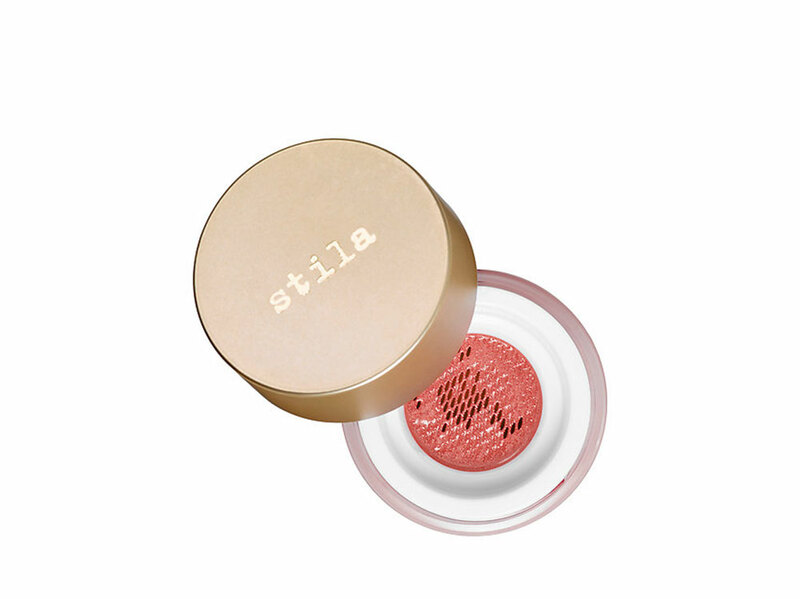 I can't live without my five different shades of Stila Cosmetics AquaGlow Watercolor Blush. It blends so naturally with my skin tone, and has a shimmery finish that's perfect for summer. It's also waterproof and long-wear which is so key in this Texas heat! I love Sunday Riley products. I used Good Genes during my pregnancy — my doc said it was the most effective and safe product out there for what I needed help with. I used to use La Mer but someone informed me Nivea cream is [basically] the same and it is — so now I use that and it's the best. Also, Lancer Skincare Younger Revealing Mask Intense ($250) is the ishh. I started using ISUN organic products when I got preggo with my first and kept on using it through my second since since I love it! The Emerald Sun Hydrosol and the Ultra Restore ($92) kept my parched breastfeeding skin super hydrated! I'm all about the dry shampoo lately, especially as a working mom because sometimes I have to skip a day of washing my hair. I've been using the one from Klorane and it's been so good at zapping away the oil. I'm also all about the K-beauty products and one of my favorite products is this NEOGEN Green Tea Stick Cleanser ($22). It's the best product for travel too (it looks like a big glue stick) so you don't have to worry about it spilling inside your toiletry bag! Supergoop sunblock! I keep the big container of it by the sink and everyone washes their face, brushes their teeth, and then rubs it all over! I also love Nucifera Balm ($37) for EVERYTHING. RMS makeup is [also] a must! Can't live without the Nyakio chamomile sleep mask! It helps after a day in the sun chasing down the kids. I love Tatcha polished classic rice enzyme powder because it's like magic [and] exfoliates on contact with a creamy texture. It's light, infused with rice bran and papaya extract, and is super gentle. You skin feels baby-soft every time.